Today, Google has unveiled its newest platform: Stadia – the plural form of the word ”stadium”. The platform is a cloud-based infrastructure where game developers would be able to write and design games to run directly on Google’s hardware at data centers. This opens the possibility for cloud-based gaming which technically “streams” the game to a controller and display. The platform would allow you to play games on any display that has access to the platform. This includes TVs, Laptops, smartphones, and tablets. Stadia’s goal is to make games available in 4K resolution and run at 60 frames per second with full surround audio. This is quite a feat, especially when the games will be ‘streamed’. Stadia will lift restrictions on the games we create and play – and the communities who enjoy them. Google says that Stadia will free the player of hardware limitations of PCs and game consoles. Instead, it will run the games on Google’s global network of data centers with the infinite computing power that the company has at its disposal. Google claims that game developers will no longer be limited to computing limitations and will be able to create games with “nearly unlimited resources”. 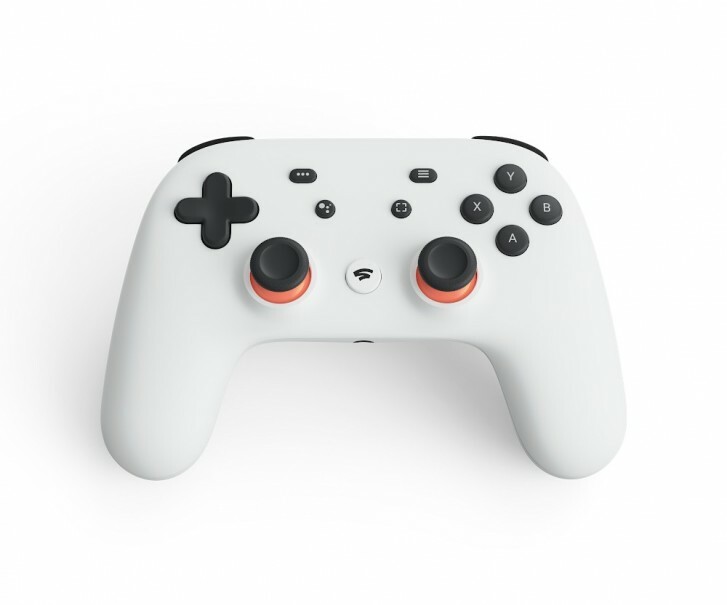 Google will also launch a game controller to use with its service called the Stadia controller. It’s a nice-looking one with a dedicated screenshot button, a Google Assistant shortcut, and a built-in microphone. The controller has two joysticks, four action buttons, a full-size directional pad, and two shoulder buttons on either side. In a statement to Kotaku, Google describes the possible resolution and frame rate outputs relative to one’s internet connection. For reference, Google demoed Assasin’s Ceed Odyssey for something called Project Stream and it ran at 1080p and 60 fps using a 25Mbps connection. When Stadia launches later this year, we expect to be able to deliver 4K 60 fps at approximately the same bandwidth requirements. What Google doesn’t mention, is how it will address internet latency – which is defined as the delay between the moment data is transmitted and the moment instruction for the data begins execution. Depending on the user’s internet connection, some gamers might experience more input lag than others. The controller will be connected directly to the internet via Wi-Fi, but will that be enough to reduce latency? Right now, this sounds like a pipedream. Google intends to let people watching other game streamers instantly link into the actual game and start playing with a dedicated controller within seconds – since the game is streaming, there are no downloads required. We wonder if Google will be able to nab developers of AAA game titles and how long into the future will be feasible for a game to be just as good as a console. This seems to be Google intention: to get more people play the games they are watching others play. At least at first. Will this be successful? We have our reservations about it, particularly since remote gaming isn’t something that’s been done before on such a wide scale. If anyone can do it, [maybe] Google can.